Enjoy a more realistic, more cinematic, immersive and one-of-a-kind interactive TV experience! 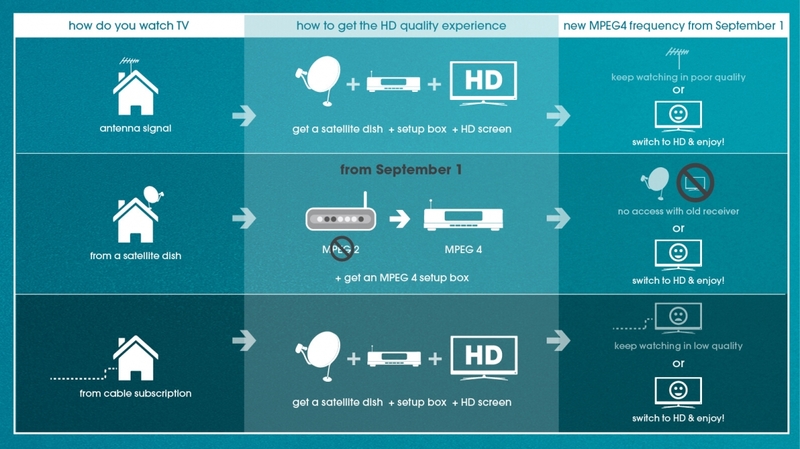 Please talk to your local satellite box provider before the 1st of September 2016 and check if your box is compatible with the MPEG 4 HD format and upgrade your existing equipment accordingly. For those who are watching us through terrestrial and want to upgrade to HD they will need to do so through Satellite, otherwise TOLO TV will remain available in normal quality through Terrestrial from the above mentioned date onwards. Viewers, whose satellite box is compatible with the MPEG 4 HD format, can already try TOLO TV in HD on the existing frequency from now by searching for TOLO HD.